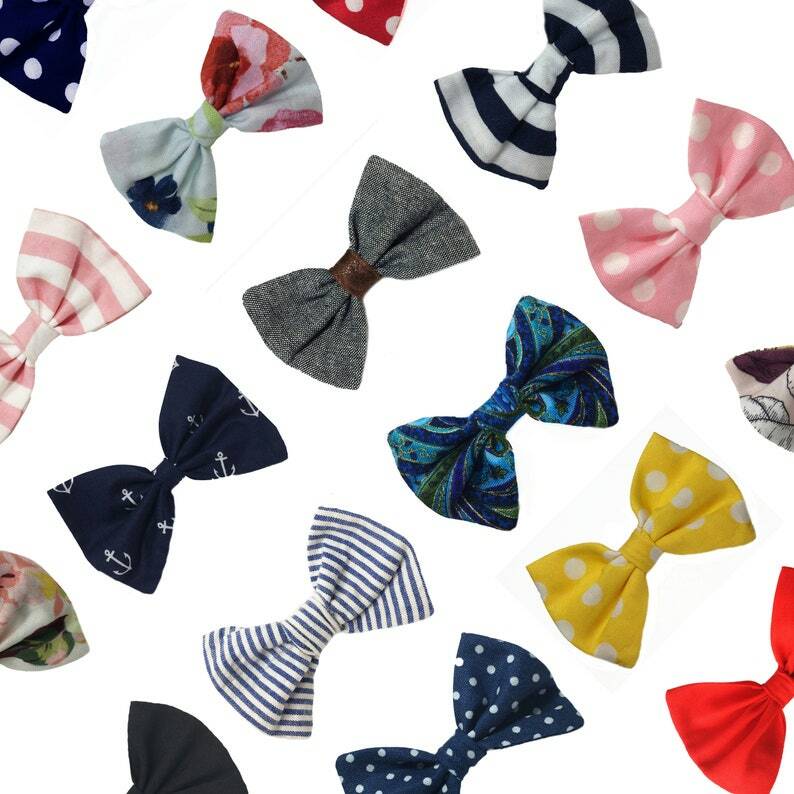 Whether you are going to a wedding, a family photo shoot, or even every day wear, these bow ties will add a fun look for any of life's events! 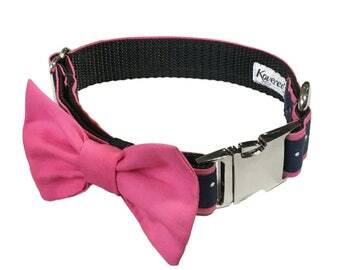 It has the option of a clip or elastic band, allowing the versatility of being used for children as a clip-on neck tie, a hair tie or clip for babies, or a hair tie or collar bow for pets! This option comes with a clip that is secured onto the back of the bow, allowing you to clip the bow onto the shirt of a child's neckline or a hair clip to the bow wherever you would like in your child or pup's hair. These clip on bow ties come in X-Small or Small. 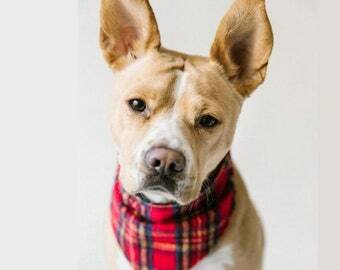 The elastic piece on the back allows it to securely slip right onto the collar (around 3/4"-1"), giving you the ability to place the bowtie wherever you would like around the neck. The bow ties come in all sizes listed below. I was hoping to find something my Aussie could wear without being covered by his fabulous mane. This worked a lot better than bandanas! Best of all, he’s completely unphased by his new accessory! It’s soft, doesn’t stretch out, stylish, and too cute! I can’t get enough! I’d be lying if I said I wasn’t planning family photos around Fosters new scarf!